Subaru just shows off a small part of its upcoming prize wagon. Subaru will introduce their 6th-generation Outback wagon at the New York Auto Show, and we've no doubt it will be a hot-seller like the current generation. Though wagons don't sell well, the Outback is the one exception that seems to have a strong cult following. It's a wildly practical wagon with a taller ride height, tons of room, and a very good interior. But, if you can't wait for it to hit showrooms (later this year), here are three great all-wheel drive wagons that are also more than capable and well appointed. The A4 allroad is a premium German wagon with great lines and an even better interior. The A4 allroad used to be just the allroad but has since adopted the A4 moniker from the A4 Avant station wagon that's actually no longer sold here. With standard quattro all-wheel drive and a taller ride height than the standard A4 sedan on which it's based, the A4 allroad is more upscale than the Outback but doesn't have the same interior volume. The current Outback has a whopping 73.3 cubic feet with the seats folded flat, and the allroad has 58.5 cubic feet of cargo space, still a good number. The 252 horsepower from the 4-cylinder turbo is potent, but it's the only engine available. You can opt for the 3.6R trim in the Outback, which has a 256-hp V6. But keep in mind that the Outback is heavier and has a CVT, while the allroad is lighter and has a standard automatic transmission. So, the allroad is almost 2 seconds quicker to 60 mph. Plus, the allroad has one of the better interiors in the segment. The V60 wagon is easily one of the best looking wagons we've ever seen. If you love style, great driving dynamics, and you don't want a German brand, the V60 ($38,900 base MSRP) is for you. We've driven it, and it's superb in terms of handling, acceleration, and interior comfort. The Sensus system is one of the most visually stunning infotainment systems around, though there is lag at times. The V60's seats are also incredibly comfortable, and the interior just happens to be one of the most beautiful in the industry with its high-grade materials and very original styling. Opt for either the T5 engine with 250 horsepower and front-wheel drive or our choice, the T6 will a turbocharged 316-hp 4-cylinder and all-wheel drive. But whichever on you choose, the V60 is a blast to drive, despite the fact that it has the smallest cargo hold of any of the wagons here at 50.9 cubic feet. But you won't care much since you'll be too busy carving up the roads. The TourX has great lines. Kinda like an American Outback, really. The TourX is a rebadged Opel wagon from Europe, but that doesn't mean it's not worth a look. It's the only American brand station wagon in existence right now since Caddy no longer makes its CTS wagon. 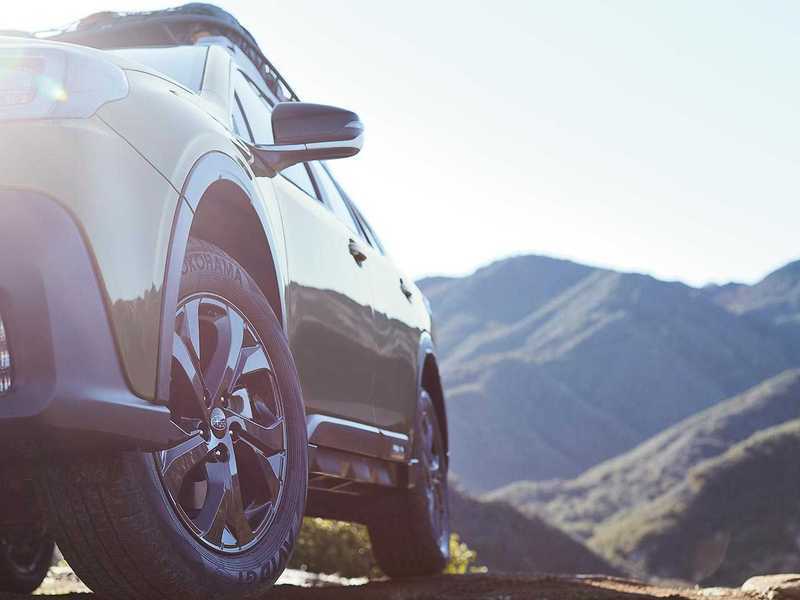 The fact that it's well styled, has standard all-wheel drive, and can pack in about as much cargo as the Subie Outback means it should be a the top of your list for a great four-seasons family wagon. GM's OnStar and on-board 4G LTE Wi-Fi keep you safe and connected, while the infotainment looks classy and responds well to inputs. The ground clearance is a mere 5.8 inches (similar to a standard car), which pales in comparison to the current Outback's rather tall 8.7 inches. That should translate to better handling in the TourX, while the Outback's body roll is more noticeable as a result.